Another Fry list – the fifth 100 recommended for fourth and fifth grade. 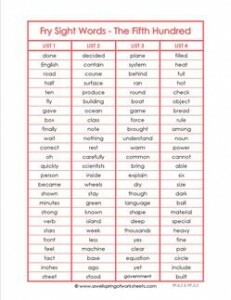 With four lists of 25 words, each list can be mastered separately as spelling words or study lists. Go to this page to see all the Fry word lists in this set.